dallas event // new diptyque store at northpark! If you’ve followed this blog since day one, you’ll know how much I love Diptyque candles. They’ve been featured on many an EDIT and the perfumes have been highlighted in several of my past beauty posts. Not only are the scents incredible, the bottles are luxurious and beautiful, adding a stunning accent to your bathroom, nightstand or desk. The candles last a long time, but once they do burn out, I like to scrape/clean out the remaining bits and use them to hold makeup brushes and Q-tips in my bathroom, and pens at my desk. It makes for a breathtaking vignette! It wasn’t until this fall while I was abroad that I discovered the bottled fragrances. I always knew they had perfume, but if you’re like me, you don’t test out new fragrances all that often. The way I discover scents I like is usually by smelling it on someone I like – sensory memory, if you will! BUT, this is the first time I’ve found a fragrance through an active search. While my friend Katherine and I were perusing the beauty department in Galeries Lafayette in Berlin, I happened upon the Diptyque counter. While Katherine was busy buying some new products down the way, I was testing out all the scents at Diptyque. It wasn’t until halfway through smelling all of the fragrances that I found the one: L’Ombre dans l’eau. It stood out from all the rest. MINE. I bought it without hesitation. I wear this practically every day – I’m already halfway through my bottle! What I love most about all of Diptyque’s products is that the fragrances are somewhat androgynous. None of the scents are too sugary or too feminine – I much prefer spicy and bold to flowery and sweet. That’s just my personality, I guess! 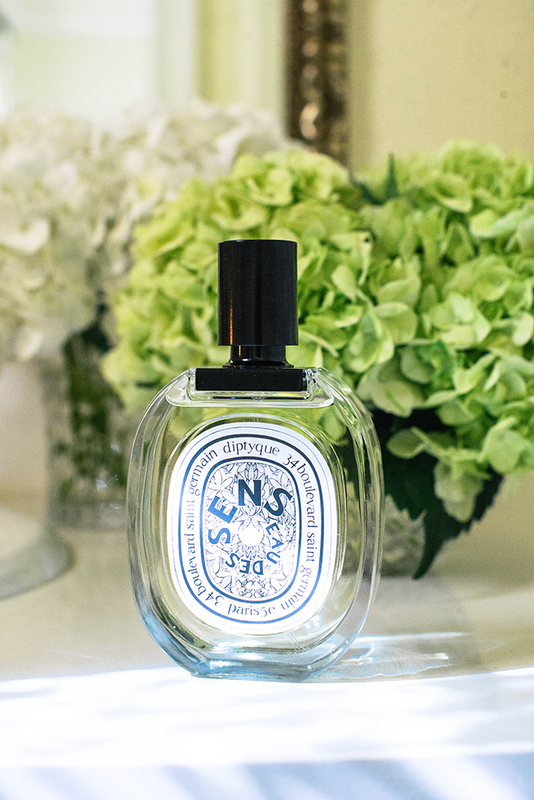 I recently learned Diptyque introduced a brand new fragrance to their line up: Eau des Sens. This latest scent features orange blossom, juniper berries and patchouli – as you might imagine, these very different notes are meant to confuse and arouse the senses. It’s a captivating fragrance that is both seductive and fresh. In celebration of the Eau des Sens launch and new Diptyque store opening at NorthPark Shopping Center in Dallas, I’ll be hosting a cocktail event on Thursday, April 14th from 6-8pm! 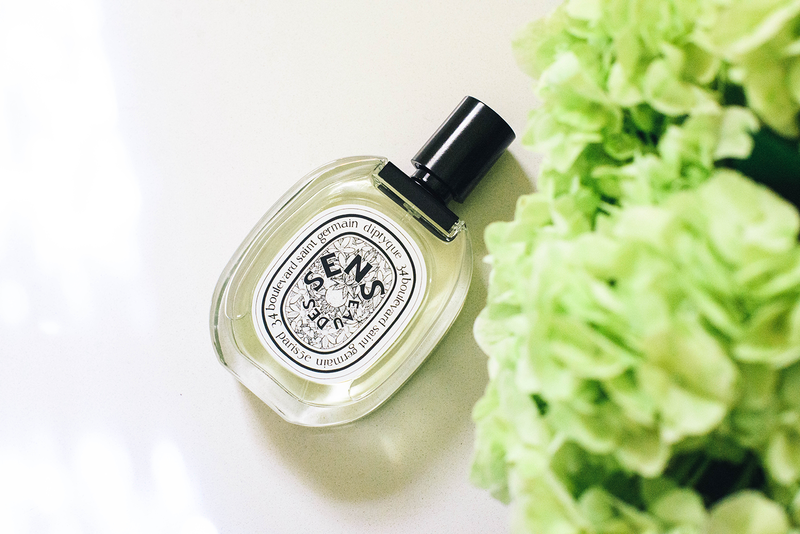 Stop by the new NorthPark store to discover Eau des Sens, learn more about Diptyque, sip and shop! There will be light bites and gift bags for ALL attendees, so make sure you mark your calendar so you won’t miss out! If you know you can attend, please RSVP by emailing diptyqueDallas@bpcm.com! PS – the NorthPark store officially opens TOMORROW! If any of my readers visit the Dallas store tomorrow through April 15th and mention The Style Scribe, you will receive a complimentary deluxe fragrance discovery coffret. 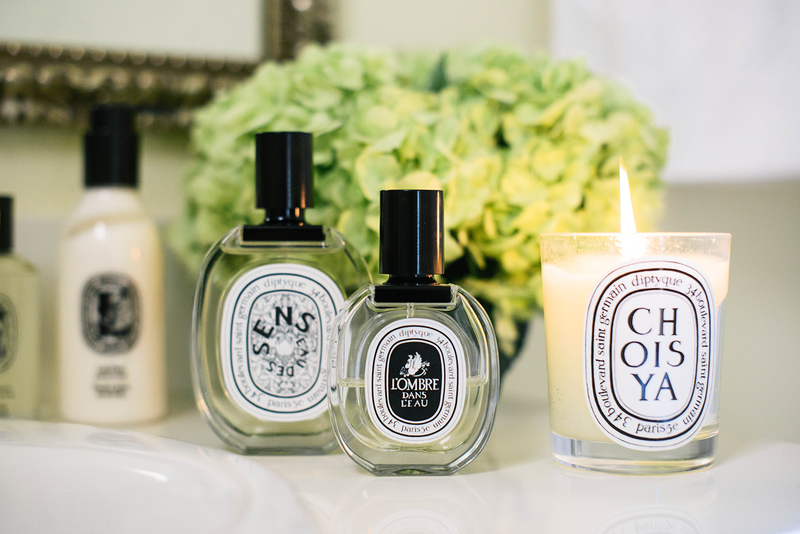 If you’ve never experienced Diptyque before, this is a great way to try it out! I hope to see all of my Dallas-area readers at the event on the 14th! I’ve never actually tried Diptyque but I think I need to! I’ve heard so many great things. Hip Hip Hooray! Looking forward to a great event and store opening. Thank you for the invite Merritt! Another Dallas blogger! How exciting! I saw this store over the weekend, but I was just running through to return Library books (the little kids library inside Northpark is so amazing), but I saw that Diptyque AND Longchamp opened!!!! Yay!!!! Just finally got my hands on Baies after just having the limited edition rose ones and my room smells like heaven!